Bringing no frills, proper basement clubbing back to Ibiza. Already a recognised heavyweight in the UK clubbing landscape, Sankeys opened its Ibiza branch in 2011, quickly making a very strong name for itself as a rave haven for lovers of underground dance music. 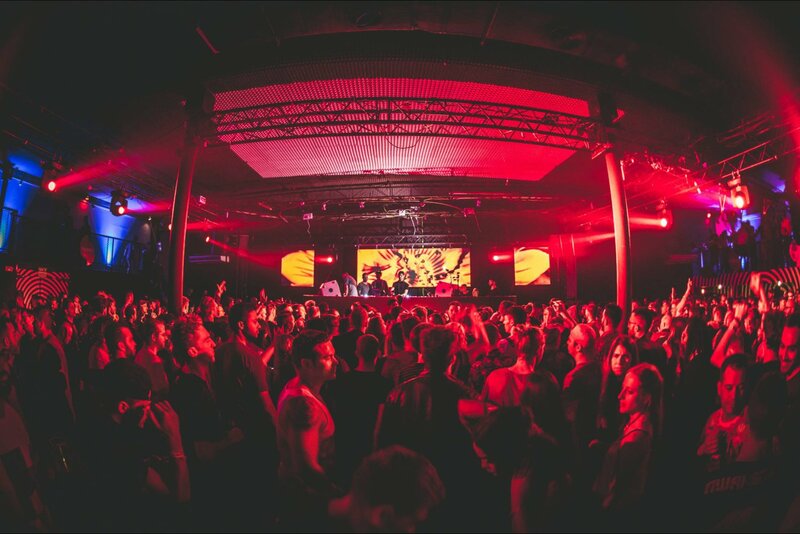 Sankeys keeps visuals and entertainment to a bare minimum; one goes for the music, so be ready to dance. Located in Playa D'en Bossa, in the street opposite Garbi Hotel, Sankeys is a 1500 capacity club with three rooms, roof terrace, amazing VOID sound system, body sonic dance floor and a great choice of nights for Ibiza. Famous for: Its basement, underground music, being popular with workers, Warriors bandanas. Popular parties: Unusual Suspects, The Redlight. How to get there: €25 cab from San Antonio, €10 from Ibiza Town. Disco bus service also run these routes. Prices: Sankeys is at the cheaper end of the spectrum when it comes to entrance. Ticket prices can be anything between around €25 and €40. Where to stay: Hotels in Playa den Bossa.